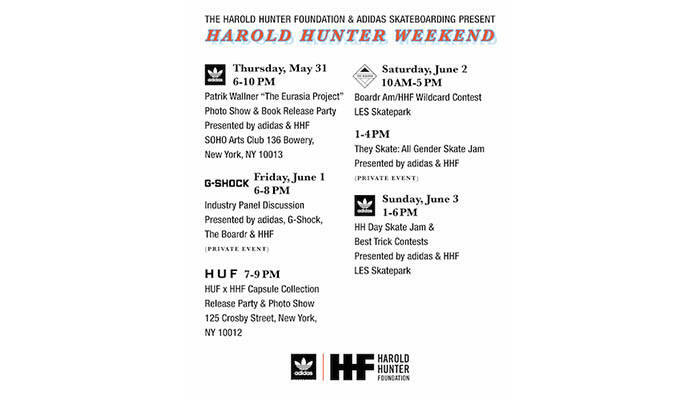 adidas has partnered with the Harold Hunter Foundation for the second year in a row as the sponsor of the annual Harold Hunter celebration. Harold is an icon of the New York scene that passed away before his time. 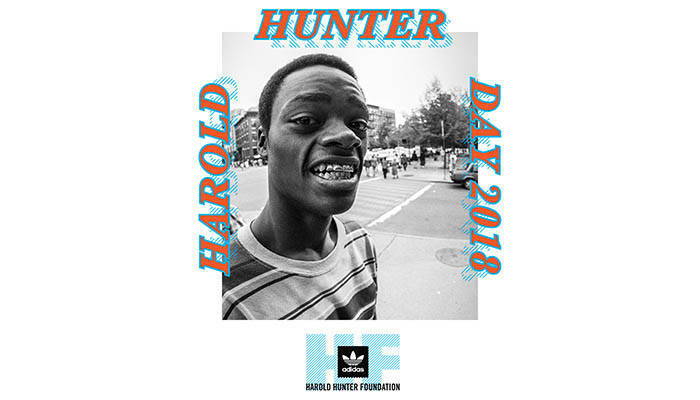 The Foundation was set up to honor Harold’s legacy by helping inner-city youth pursue skateboarding through raising money for community activities and scholarships to Woodward Skate Camp. Tyshawn Jones was one of the Harold Hunter Foundation’s first campers. And look at him now! He’s proof of the success that can come out from this organization. This year’s focus is celebrating all of the things that Hunter was passionate about including: art, photography, and skateboarding. Check out the full list of events below. The festivities will be taking place from May 31 through June 3.